A hotel doesn’t have to be just a place where you can rest your head and get pampered for a day or two. There are unique structures all over the world that offers a hotel experience that will never be forgotten. Whether it’s an Incognito structure in the middle of the forest, an aquatic nestling place beneath the sea, or an igloo in the freezing wilderness, these fascinating lodgings take the ‘hotel’ concept to a whole new level, and then some. 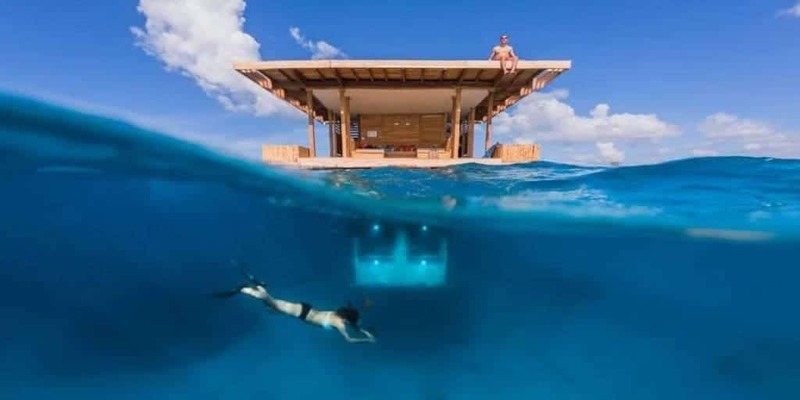 The Manta Resort is located on the tropical Pemba Island in Zanzibar and has a floating hotel room. This 3- floor underwater suite sits 4 meters beneath the surface. Each window is equipped with underwater spotlights which attract nearby sea creatures at night, so guests can look out their windows and see the fascinating creatures passing by. This fascination piece of architecture resembles a Banyan tree. 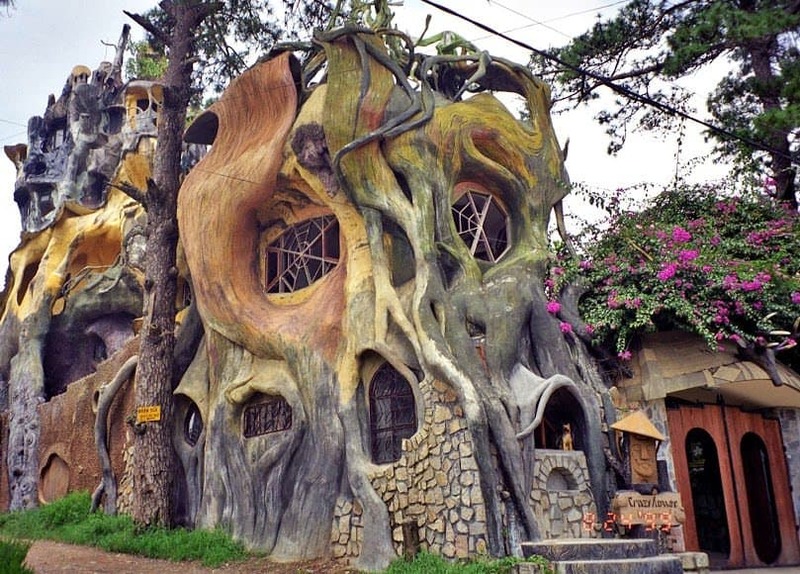 Also called the ‘crazy house’ or the ‘fairytale house’ due to the curves, branches and odd angles of the exterior, it looks like something straight out of a Disney movie. This nifty little bed n breakfast is certainly a dog lover’s dream. 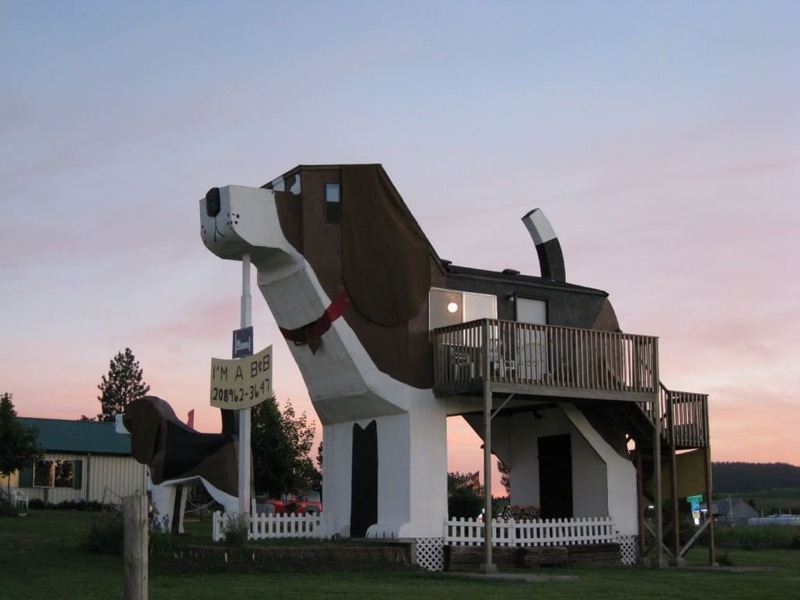 Fashioned in the shape of a beagle, the interior of Dog Bark Park Inn is also decked out with canine inspired furnishings, while guests are treated to dog-shapes biscuits. This takes the ‘pet friendly’ concept to a whole new level. 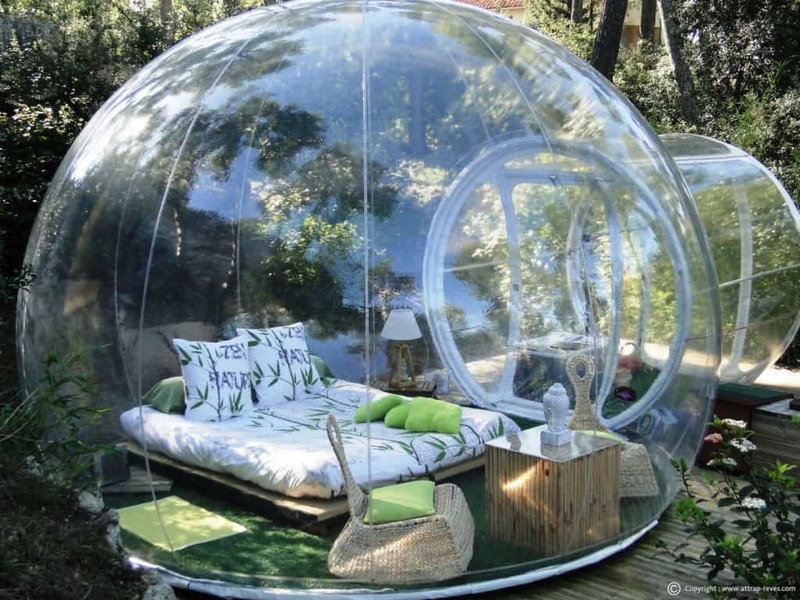 Guests of the Attrap Reves Hotel can spend the night under the French stars as they relax in a fully furnished, transparent bubble. There are 7 bubbles in total, with each offering panoramic views of the surrounding countryside. Plus each bubble is intricately designed around a specific theme, one being nature which is complete with glass flooring. 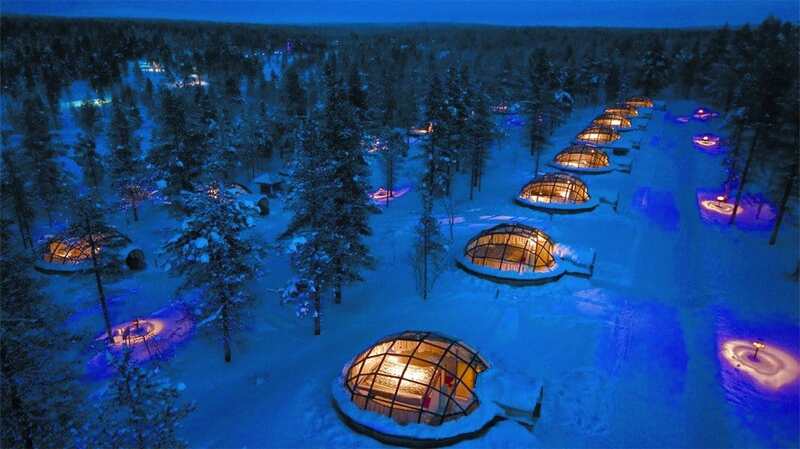 This is the world’s largest hotel made from snow and ice, and is located in a small town north of the Arctic circle. 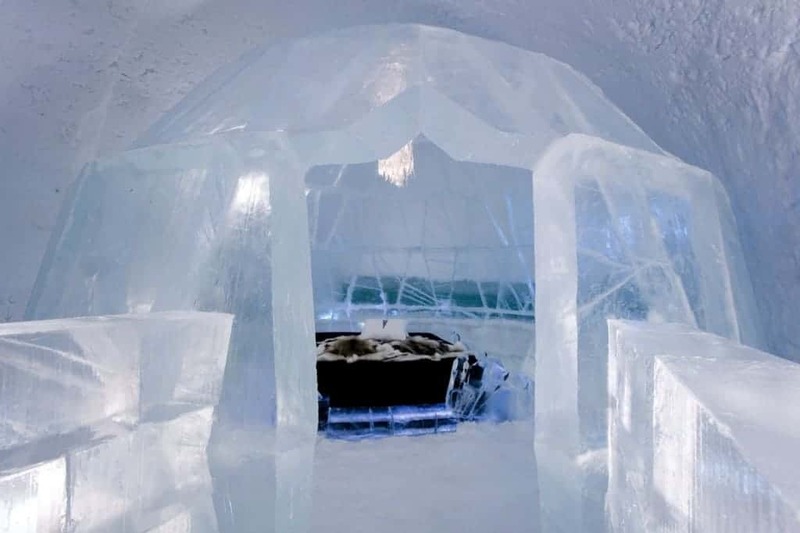 Guests can sleep on a bed made of ice, enjoy food served on ice and enjoy other amenities in temperatures around minus 5 degrees celsius. Weymouth Beach, UK, boasts the worlds only sandcastle hotel. It took 1,000 tonnes of sand and 4 sculptures to create. 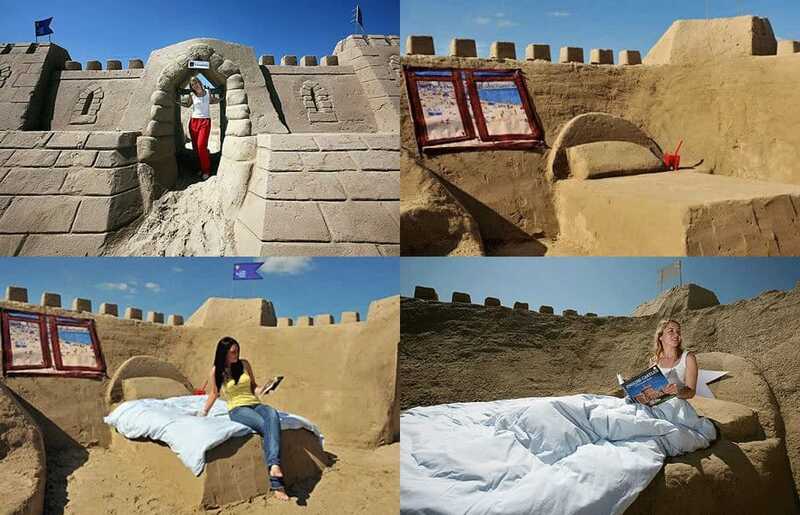 The roofless building, which looks just like a sandcastle, has a twin and double bedroom, with beds made out of sand, but no toilet facilities. This igloo village is nestled in the wilderness and allows guests to enjoy amazing views of the northern lights. These eco- friendly igloos have insulated interiors and thermal glass walls and ceilings to keep visitors warm when temperatures drop to minus 5 degrees Celsius. 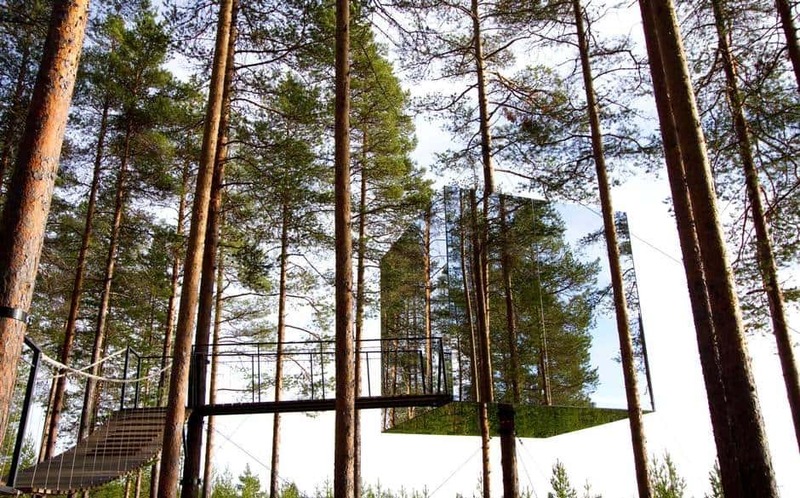 Also called the ‘invisible room’ the Mirror-cube hotel is a unique tree-house made from an aluminum base and then covered by reflective glass. Due to this, the structure is camouflaged by its surroundings of large trees, making it ideal for persons who want to go incognito for a day or two. The name literally translates to ‘Palace of Salt’ and that’s exactly what this hotel is made from. 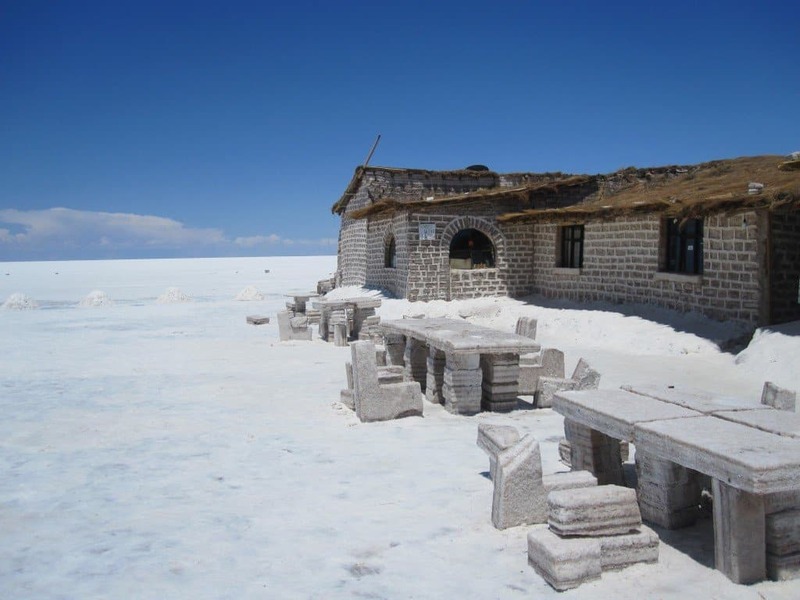 The 15 bedrooms, bar, dining and living room are all made out of salt blocks and held together by a cement-like combination of salt and water. The only parts of the structure not made from salt are the toilets and the roof. If you have a fear of heights then this precariously perched hillside hotel is certainly not for you. 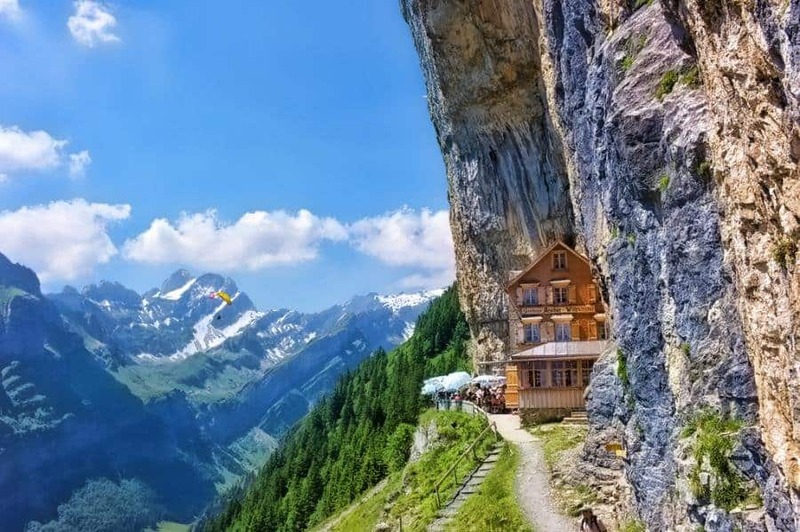 Not only is it clinging to the foot of a cliff on the Swiss Alps, but it is only accessible by hiking and cable car.